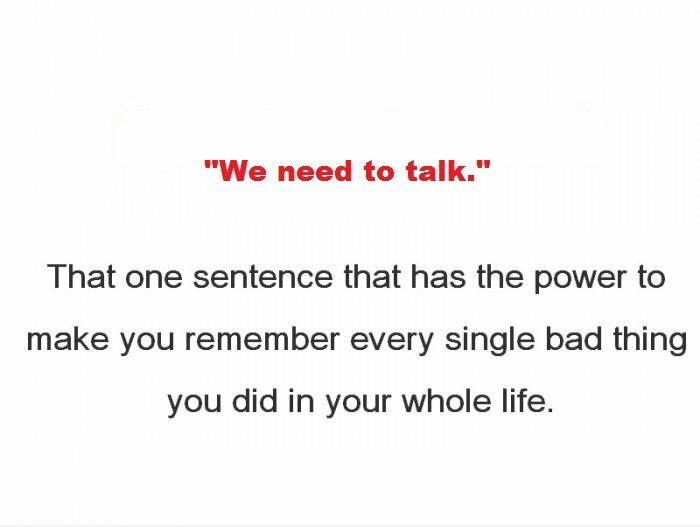 “We need to talk.” I know I’m not the only one who has said these four words my better half and didn’t necessarily get the response that I wanted. Whenever I would say this forbidden statement, my husband felt like he was on trial and immediately had no defense. He thought, “What did I do or didn’t do … now?” “What does she want to talk about?” or “What happened?” It’s something about this phrase that makes men utterly uncomfortable. What I found is that there’s nothing positive that can follow: We Need to Talk. In fact, my hubby could tell by my tone that I had a hidden agenda. For him, I already had my mind made up and the evidence to support my claim. He, on the other hand, was always caught off guard and braced himself for what was to come next. As The Wife Coach, I’m constantly looking for ways to improve and strengthen how I communicate and relate to my spouse. 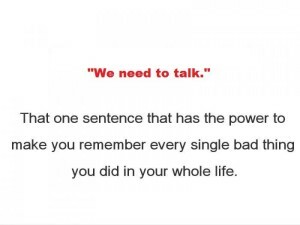 I decided to replace “We Need to Talk” with “Have I Told You” followed by an affirmation or positive gesture. Have I Told You … thank you lately? Repeat that to yourself. Does it put you at ease? Are you more willing to hear what follows now that your guard has been let down? Practice using the Have I Told You phrase to start your conversation. Let him know that you appreciate him or really support what he’s been doing for you and your family. Compliment even his smallest efforts (Have I Told You … thank you for cutting the grass or picking up my clothes from the cleaners?) and then (if you have any concerns) share what’s on your heart. By changing your approach to how you affirm your man or even address problems, you’ve now replaced 4 words that used to make him cringe with 4 words that he will now crave to hear. I’ve been doing this for a few weeks now and the response from my husband has truly surprised me. I would love to hear from you to see if this small change in dialogue, makes a big difference in how you communicate. Send your comments and experiences to coach@lakiabrandenburg.com.